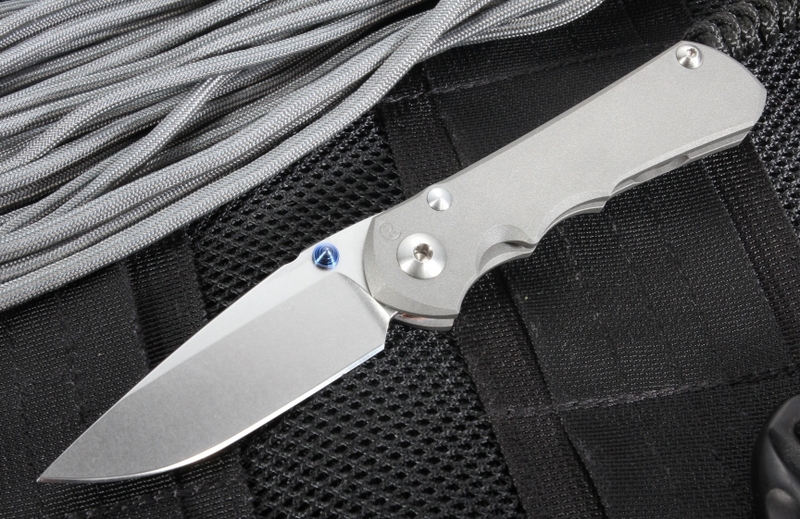 The Chris Reeve Small Inkosi folding knife is the beefier, thicker bladed cousin of the Sebenza folding knife, and though it is shorter in length, it is a heftier blade. With a larger pivot, constructed of perforated phosphor bronze bushings which not only serve as a buffer between the hard steel and the softer titanium of the handle, they are also, built to withhold lubricant opening after opening and reduce friction; there are so many upgrades to what has already been considered a perfect knife in the Sebenza. So why improve upon perfection? Maybe it is just what makes Chris Reeve knives one of the foremost designs in the business. To get a better idea of this, one must consider the predecessors that made the "Chief" what it is today. 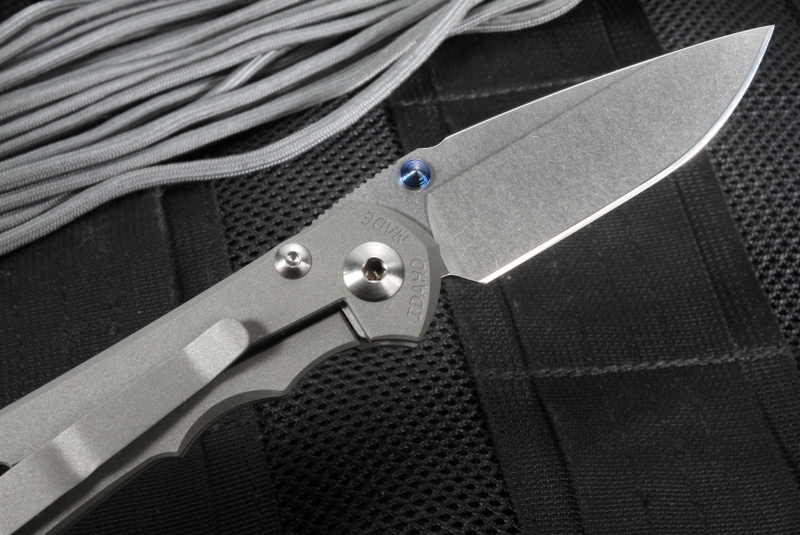 After 21 years of knife making, Chris Reeve unveiled what many people considered to be his masterpiece: the Sebenza 21 folding knife. Quickly becoming a favorite among knife enthusiasts, this somewhat simple, yet effective design has long been seen as the gold standard of the industry, not only in function, but also form. 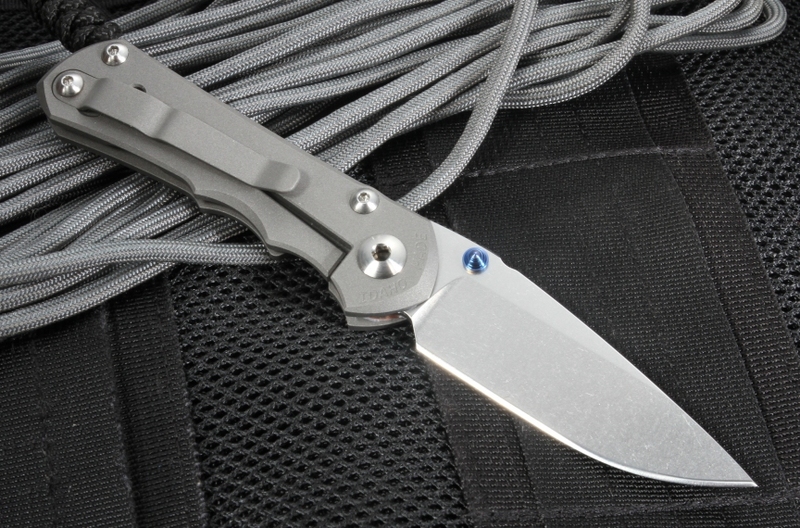 A few years later, the Sebenza 25 was released, bearing a few improvements over the design. Just a few years after that, when the dust settled, Chris Reeve announced his retirement, but not before unveiling his final personal design, the Chris Reeve Inkosi. 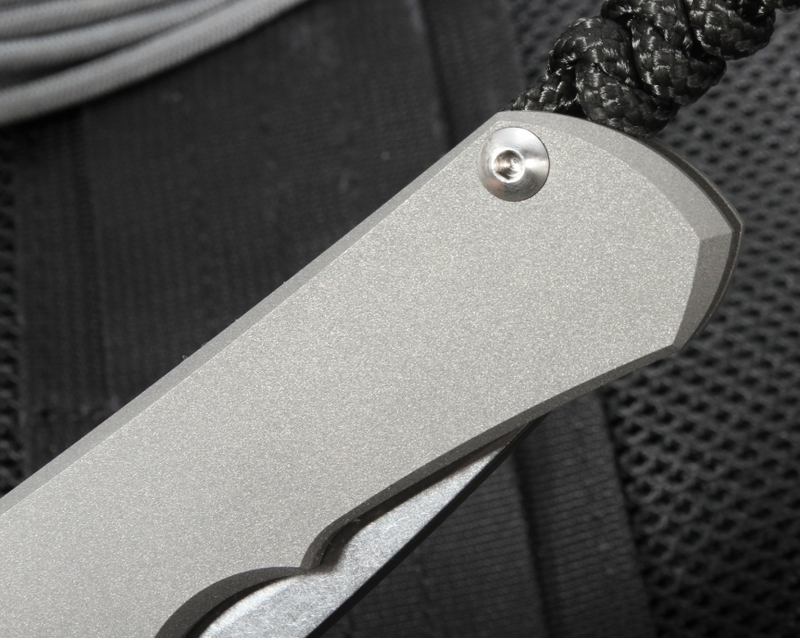 An overall improvement to what was already considered to be perfection, the crk inkosi knife incorporated all of the elements beloved by collectors and enthusiasts about the Sebenza knives and put them into this design. 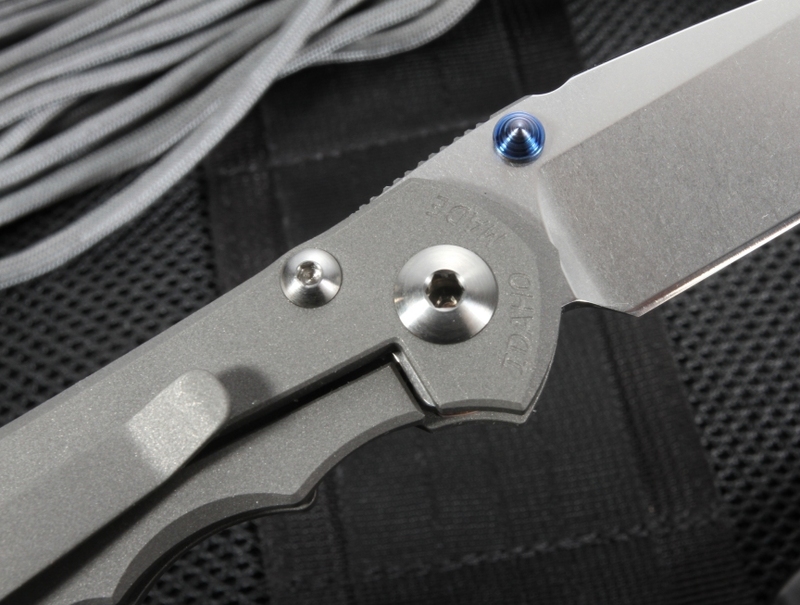 Derived from the Zulu word for "chief" the Inkosi is a formidable tool, worthy of the Chris Reeve name. Slightly smaller than its counterpart, the Chris Reeve large Inkosi, the small inkosi has a 2.75" blade made of S35VN stainless steel. Stonewashed at over 20,000 rpm, the finish gives it an added level of protection against corrosion while allowing it's large hollow ground edge to stay sharp in any condition. Made from .128" stock, with a Rockwell hardness of 59-60, the blade holds up to punishment, allows for strength in cuts, yet is malleable enough to keep a razor sharp edge for a very long time. A hand-cut chamfer on the back of the blade adds extra comfort and support for your thumb as well. An improvement over the original Sebenza design, double blue anodized thumb studs on the Inkosi make it ambidextrous--an improvement over previous incarnations of the Chris Reeve designs. 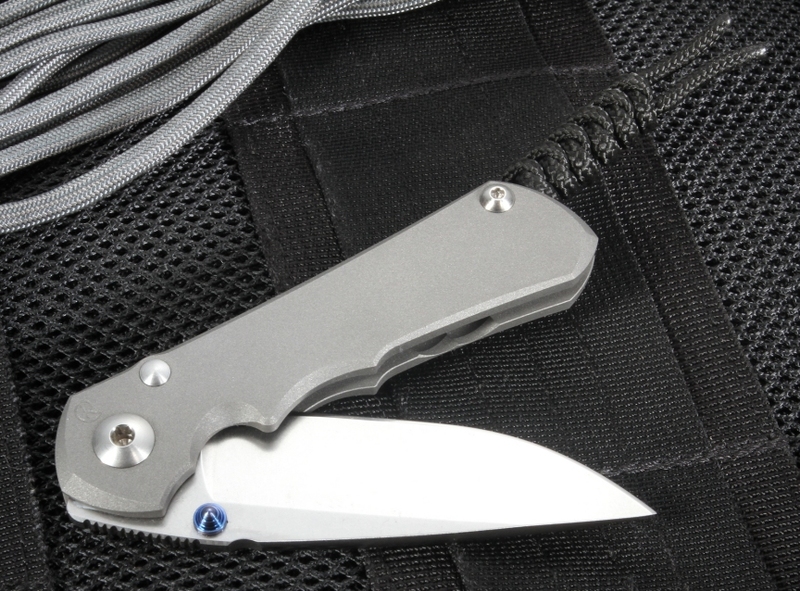 The Chris Reeve Small Inkosi has a blasted titanium handle, integrated lockbar system aided by a ceramic detent bearing, and an offset titanium clip that was inherited from the Sebenza 25 to allow for point up carry. 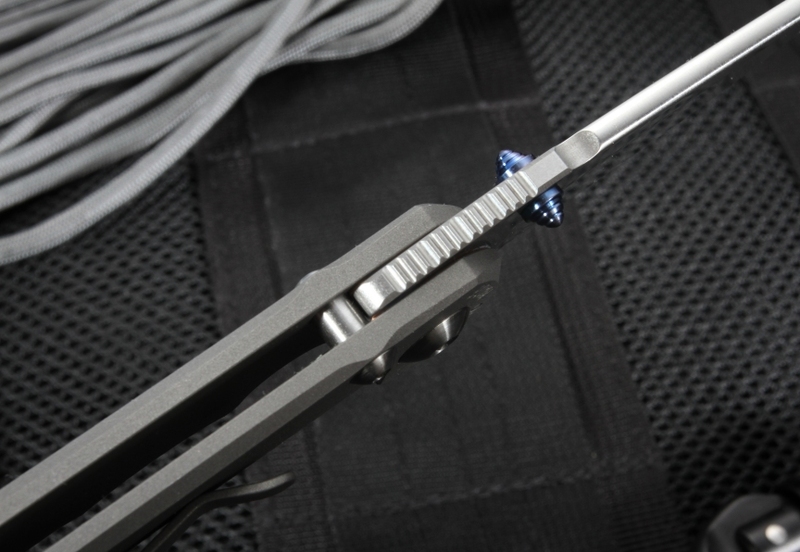 A beefier Pinch Clip can be added as a replacement (sold separately). Still designed with the no-nonsense right or left handed varieties, the Inkosi features additional scalloped finger grooves for added support and ergonomics. Pressure from the finger unlocks the bar, allowing for as smooth of a close as the fluid swing of your thumb opened it. As with the Sebenzas, it only gets smoother the more you use it. The overall length of 6.375" folds down to an easily manageable 3.875", which can fit nicely in your pocket, clip to your belt, hang from a lanyard, or slip into a pouch on your belt. Pouches and sheaths are available separately in a variety of materials, from leather to tactical nylon. The workmanship on Reeve's knives IS quite good, but at the price point it should be. I would say they approach the similarly priced William Henry's, but slightly below. And the mechanism for opening and locking on Reeves are no where near as smooth as WH. And the WH blade steel is far superior, indeed the blade steel for the Inkosi is well below what would be expected at this price point. And I've had two Reeves knives, and both came disappointingly dull right out of the box--duller than I would find acceptable even on a $25 knife. The opening action is still quite stiff after using it quite a bit. Over all it's not a bad knife, it's just a bad deal considering the alternatives for this price. My only concern is that you have to put your thumb in the path of the closing blade to unlock it. My old Ibberson Sheffield Steel lock knife has a back of handle unlock. I found the belt clip and "lanyard" unnecessary and have removed them. I may attached a wrist loop instead. The blade arrived quite sharp and a gentle brush with a German ceramic sharpener took it to chef, possibly surgical, sharpness. The finish and shape of the titanium handle is great for grip but does not feel rough. The overall quality is excellent. As is the weight and shape. One handed operation is generally good but a little stiff to open the blade (I am sure this will improve with use) and you have to be careful closing, as mentioned before. To conclude: this knife is exquisite in a quite inexplicable way. It looks great. It feels great to hold and use. Sheer quality. I would give it 5 stars but I am aware that at some point I will cut myself when closing the blade. Or am I using it wrong? This is the new standard by which to measure other folders. This has kicked my Sebenza out of my pocket. There have been plenty of knives which people have given the title “Sebenza Killer”, many of them fell short, some by a long way. The Inkosi though, while it doesn't “kill” a Sebenza, it is marginally better. There are some very small changes, bigger pivot, ceramic detent and lock interface, bigger washers, pocket clip moved from the lockbar, slightly thicker blade, less hollow grind. These are small changes from the Sebenza, but they all add up. The result is a knife that feels stronger with a smoother opening without sacrificing on weight, size and usability, all the while feeling very much like the original work knife. I don't feel like there is anything that I would say my Sebenza does better, even down to maintenance, the Inkosi is better, with fewer parts and less fiddly bits. This knife begs to be used, which is good, because I don't collect trinkets, and I'm confident this knife will not let me down. Two things I would like to see, the knives to be properly sharp out of the box, other companies can manage it, I wish Chris Reeve would do it too. Not a huge deal, it took me 10 mins to get it proper sharp but only because I'm confident at sharpening. It's a $375 knife, it should have more than a “usable” edge. Secondly, a deep carry pocket clip option, I prefer it to be out of sight and deep enough in my pocket that I know it's not going anywhere. Lastly, the service from KnifeArt, flawless, I ordered it on Wednesday and it was here in the UK on Friday morning. Perfect! I was lucky and must have got the last one in stock. The small Inkosi arrived quickly from KnifeArt (2 days) and I could not be more pleased with the knife. I also own the small Sebenza 21 and this is my new favorite. This knife is truly a functional work of art. The smoothness of the action is unparalleled. The lockup is extremely solid (more than the Seb21). This will be my new EDC in the pocket (and small enough to fit in the 5th pocket). This is a fantastic knife with marked improvements on even the latest Sebenza 25. The phosphor bronze washers are identical and foolproof. Unlike the 25, the washers don't have any angled pieces that can be bent--they are flat and easy to position. The blade is designed perfectly and there is no need to center the blade at all. The clip is positioned so that it doesn't make direct contact with the lockbar, cutting down on unnecessary pressure and wear on the lockbar mechanism. 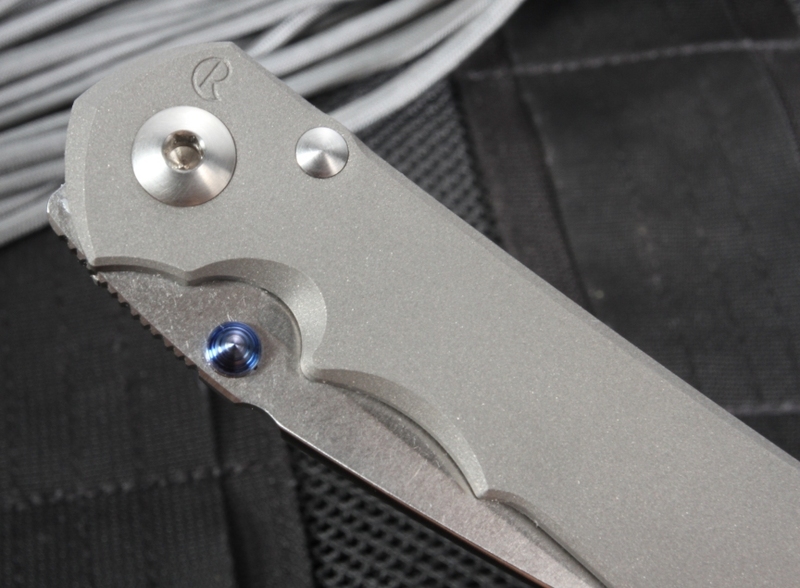 Again, CRK rethought and refined the fantastic elements of the Sebenza 25 and put them into the Inkosi. As expected, it is built like a tank--everything about this small knife is 'overbuilt' as you would expect from Chris Reeve. It is super-strong and perfect in just about every way. I was completely and pleasantly surprised by this knife. Even though it is considered 'small' with (IMHO) a perfect 2.75" blade, it fits in my rather large hands securely and comfortably. This is not a full-size folder--I have a number of high-end larger folders and sometimes it feels like you're pulling out a sword in public to do small tasks. I bought this knife as an all-around user. It just happens to be worth every cent of $375. If you're hesitating to buy this knife, so was I. Now I'm a happy owner/user! my hand size is between a large and extra large...large fits length extra large fit width. so i was a little concerned with the the smaller version of the Sabinza "Small". while it is slightly smaller it feels great in the hand when carving and cutting. highly recommend. my only complaint is that the small cord lanyard flips inside my pocket unlike the Sabenza small. guess ill get a slightly longer cord. After dialing in the knife it oozes quality and great design detail. I am a passionate collector and have a lot of knives in this general category. At first the knife was stiff and and the detent seemed wrong. I am a knife maker and am confident in disassembly and reassembly so I "re-lubed" and adjusted and now the knife is a small marvel. It is compact, light, liquid smooth and yet robust enough to do real cutting work. I am not sure why mine was so stiff out of the box and could be a fluke. By the way I did spend three days just opening and closing the knife (literally 100's of times) to break it in before lubing and adjusting the knife, so I am not a rookie to the process of breaking in a knife. Another great transaction with KNIFEART, superfast shipping, well packaged. I have two other Chris Reeve knives and this one just moved up to the top of my EDC, just the right size. The blasted titanium handle has just enough texture. Super sharp 2.75" blade - did the paper cutting test in front of my 11 year old son, he said "WOW", that's says it all. Thanks Knifeart.